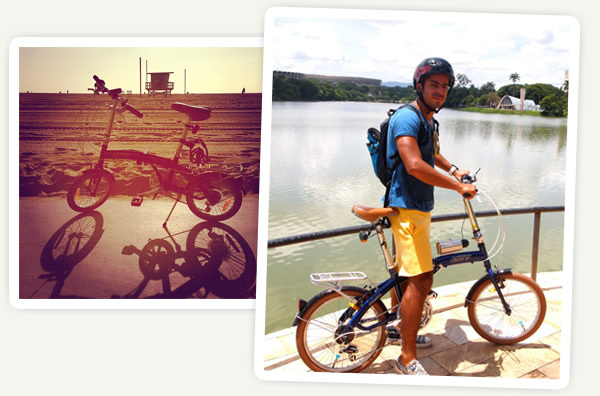 Our customers have shared some of their stories and pictures of their experiences and adventures with their Citizen folding bikes from around the world. Here is a sampling of some of the feedback we've received. 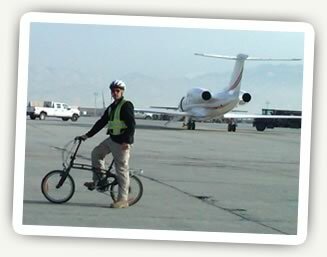 Here's our GOTHAM Citizen Bike in Bagram, Afghanistan, used by one of our customers to shuttle around the airfield. 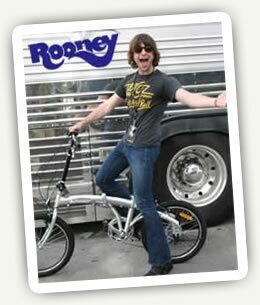 This photo comes to us by way of the lead singer of the band Rooney, Robert Schwartzman. He and his bandmates have travelled around the world on their summer tour with their Citizen Bikes. 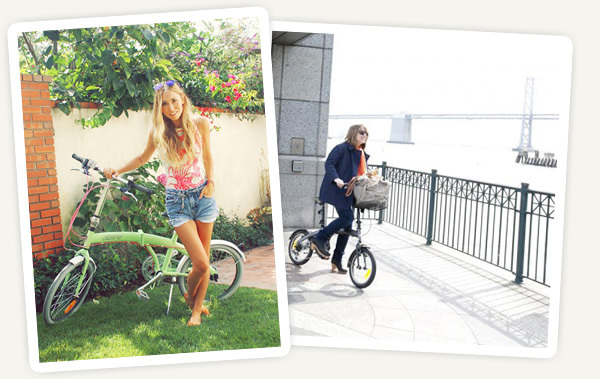 Robert is not the only rocker to rock our folding bikes. The Red Hot Chili Peppers outfitted their crew for their latest mega-tour. 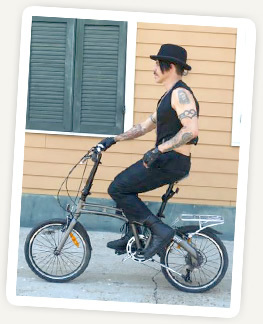 Spotted to the right is lead Anthony Kiedis rolling in New Orleans on his GOTHAM. 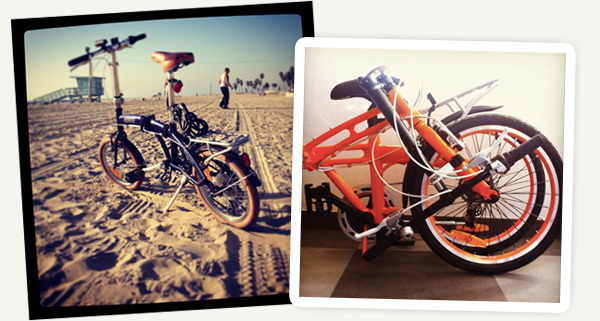 Our bikes aren't just designed for the road warrior rocker. They're designed for every day, every ride and every Citizen. Please keep sending us your notes and pictures, and we'll keep sharing your stories. Thank you so much for selling me such a wonderful, beautiful, and affordable bike!!! I purchased the BARCELONA in Ivory and have had so much joy riding her the last few weeks. Yes, I said her! haha. I named my bike Stella Sofia! I am a Police Officer in Manhattan and have been riding Stella to work, at the precinct, every night. 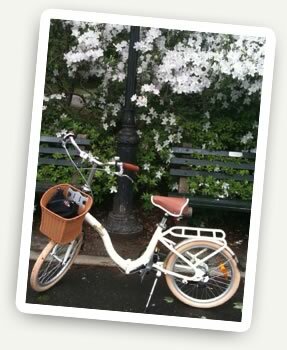 I have also have been riding around Manhattan's Upper East Side, as well as Central Park and The Upper West Side. I have received a plethora of compliments and have been telling everyone I can about your website! A co-worker of mine is going to get one too as he also lives in Manhattan! Thank you again for such a fantastic buying experience! 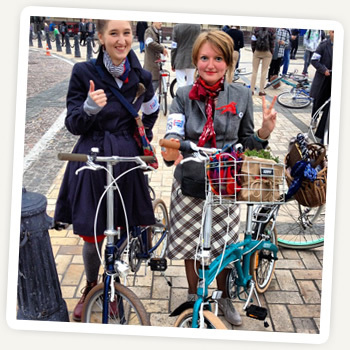 I will continue to recommend your website to other people looking for a greener way to get to work!!" Thanks, V.W. Wishing you and Stella Sophia plenty of riding adventures together. "I received my Pearl G2 two weeks ago, on time and in perfect condition. I am loving it. I ride 3 blocks to the train station, fold her up and board, 11 minutes and 3 stops later, and I'm riding 3 miles to my shop with a big grin on. The bike is easy to fold and unfold, light and compact - fitting easily into and on the train, and best of all, fun as fun can be to ride. I have passed by the train station and ridden home after work 4 times already. "I live on Long Island (NY) and my commute is 18 miles each way and consists of 16 miles of traffic (each way). Every day was starting and ending poorly and it was beginning to show both at home and at work. 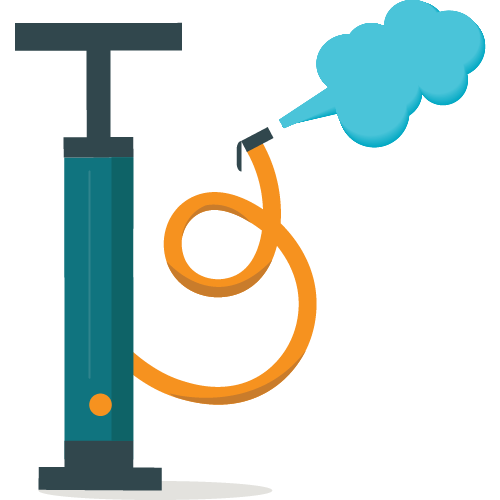 With the price of gas flying upward (again), I felt enough was enough and began searching for an alternative. I could not justify spending $500 on a folding bike that would be used for commuting to and from the train station (especially since I was not sure how it was going to work out), and full size bike are prohibited during rush "peak" times. When I had seen you MIAMI model, it matched what I needed and the price fit my budget. I checked reviews and contacted your customer service (they’re very friendly BTW) and they answered my questions. I gave it a go. I was expecting to buy the bike and have to put most of it together. No doubt I was delighted when all I needed to do was put the seat post on (took about 5 seconds). Even the optional rack was already installed! Everything started off positive. I took the bike for its maiden voyage around the neighborhood and found that the bike shifted well and was a comfortable ride. The real test would be on Monday morning as I had to ride 4 miles to the train station, fold it up and get on the train and be able to get it off and ride a mile and half to work under specific time frames. My first commute (and all since) went without fail. In fact, I was never rushed as I keep a steady pace without pushing (sweating) and folds easily. But there was something I did add into the equation. I am starting every day doing something I love; cycling! Instead of sitting in traffic, burning over-priced dead-dinosaurs, I am riding my bike! Taking the train in itself saves money and the decreased wear and tear on my car justifies the purchase the bike purchase. The exercise is awesome and the changes to my attitude is noticeable. I use the bike to stroll around the neighborhood with my wife or for a quick jaunt to the store since it more practical then taking my full suspension trail bike or carbon fiber road bike. I could not be happier with my choice. The bike exceeded my expectations! 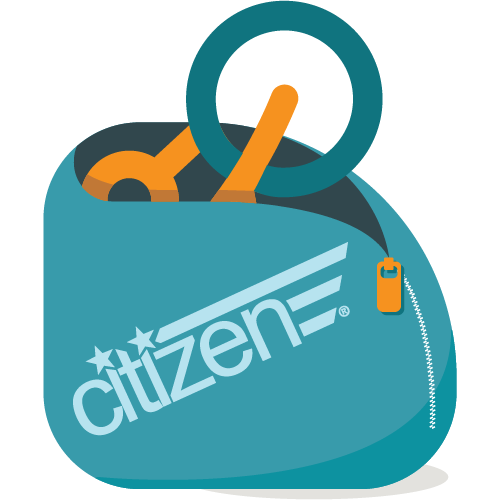 You guys at Citizen have a great product. 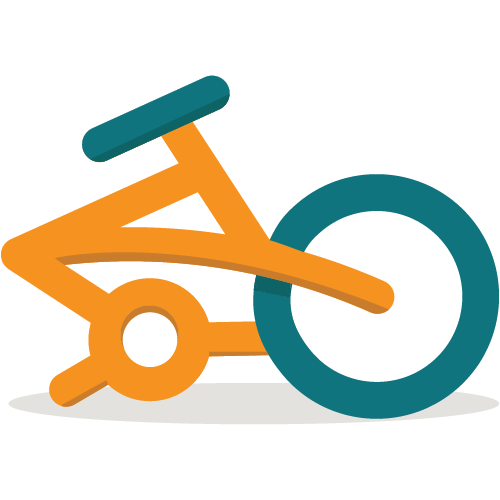 "I recently ordered two TOKYO folding bikes from you....I have now had then a few weeks and can't tell you enough how pleased I am with them so far...they were bought to be used in various ports while we travel about on a sailboat. They fold so very easy...are light, go into their storage bags so simply...there is just nothing about them that I would change. After riding them on many trips over the past two weeks we feel that they are not only well made, but they are fun to ride. We get lots of comments about how nice looking they are and have even had people ask to try them out. 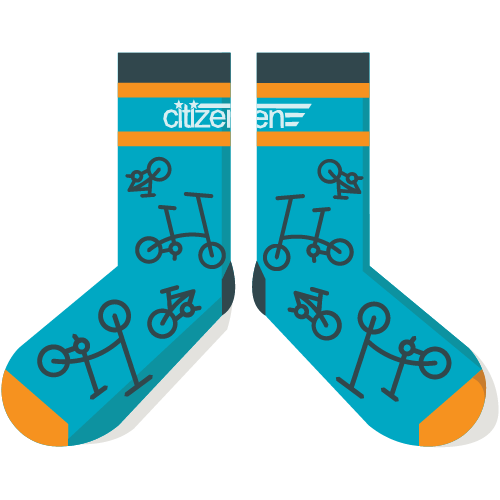 Thank you for such a great product and experience dealing with Citizen Bike. The bikes were packed so well when we received then that we knew right away we had made the right choice buying from you! It was obvious that you care about your bikes and customers." – B.L., Raleigh, N.C.
We've got more! Click for some more feedback from some of our friends around the world.